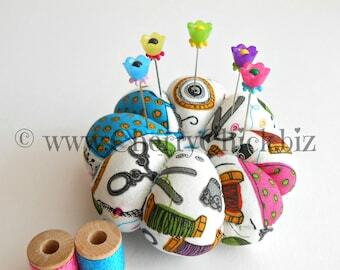 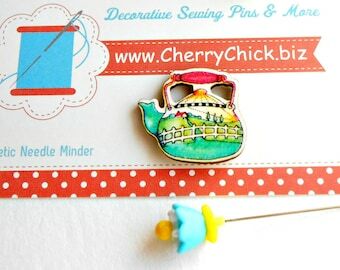 A Too Cute Mary Engelbreit (almost vintage) Collectible Sewing Pincushion with a set of Cherry Chick decorative pins, scissors, and two spools of thread. 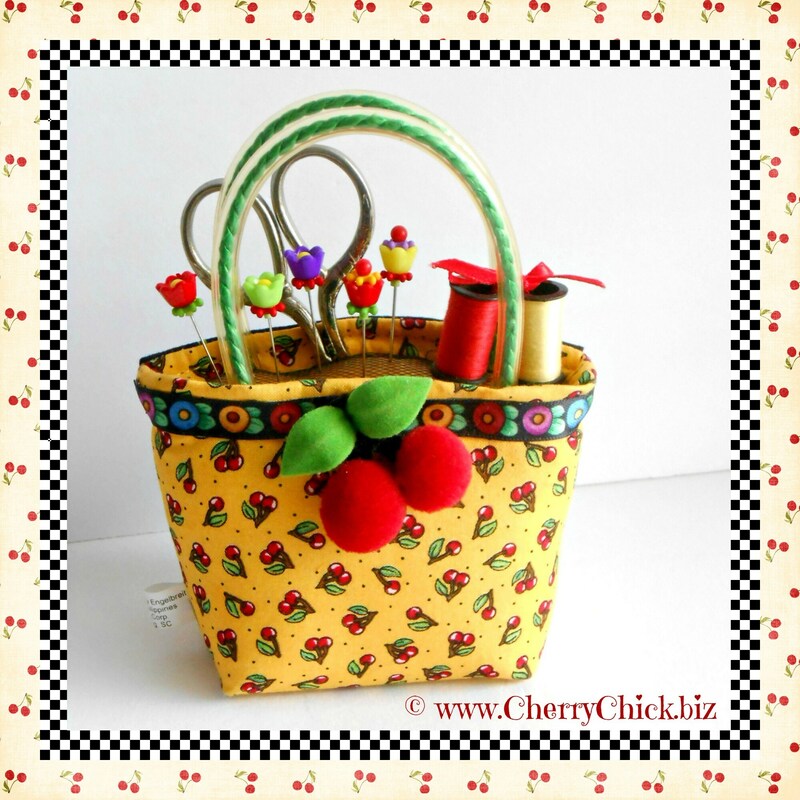 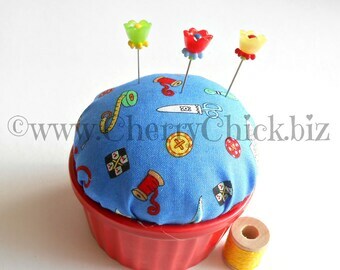 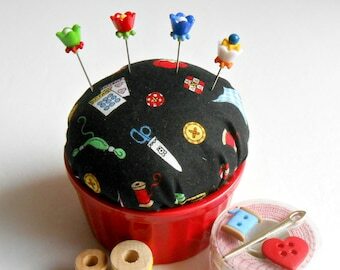 Pre owned, this Cherry Purse pincushion was made by Dritz in 2001. 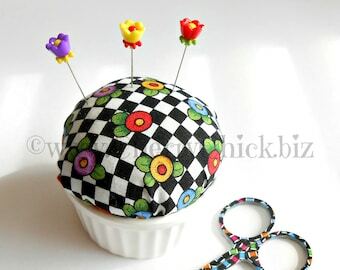 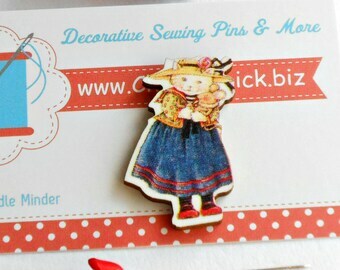 I'm including a set of the decorative flower pins that I make and sell here in my Etsy shop. 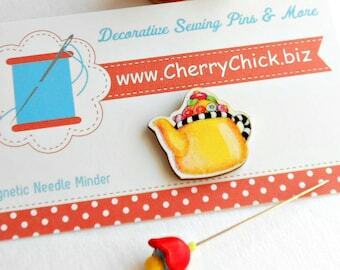 On the back, under the flap is a piece of yellow felt that stores 3 sewing needles. 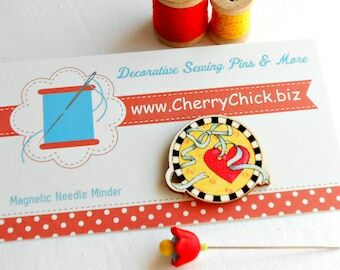 Some photos may contain other items that I sell here in my shop that have been used as photo props for this listing. 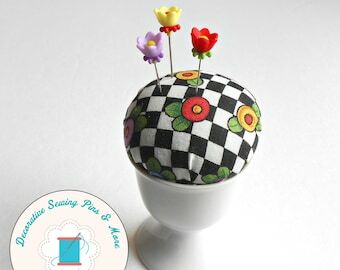 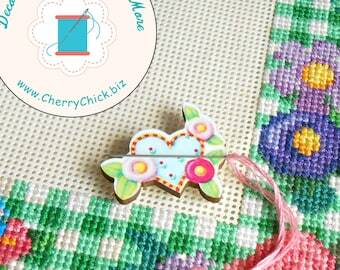 This listing is for the Cherry purse pincushion with five flower sewing pins, one pair of scissor, and two spools of thread.